Compact LED Replacement Bulb, 10W GU24, 120VAC, 60Hz, Energy Star Qualified, For Use With 9852 LED Ceiling Pull-Chain Lampholder and 9850-LED Ceiling Keyless Lampholder - White. Second photo is for illustration purpose only. Lampholder is not included in the package, please be advised. LED Ceiling Lampholders offer the ideal lighting source for closets and other closed spaces. Available in keyless and pull chain models, they feature a 10 Watt LED bulb, making them an energy efficient, popular alternative to incandescent and CFL fixtures. 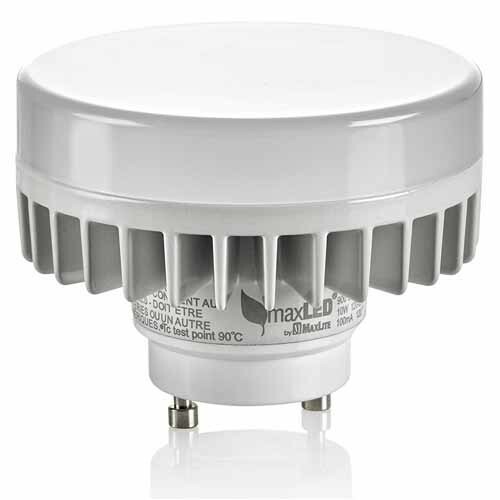 The LED Ceiling Lampholders incorporate today's most desirable features and meet NFPA® 70, NEC® Section 410.16 C (1) requirements. They are easy to install with pigtail leads and knockout holes for multiple ceiling box configurations. Designed for indoor use only, these devices are a cost saving solution for lighting in closets, workrooms, basements, storage areas, utility rooms and attics.